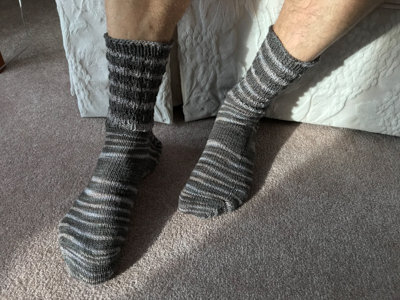 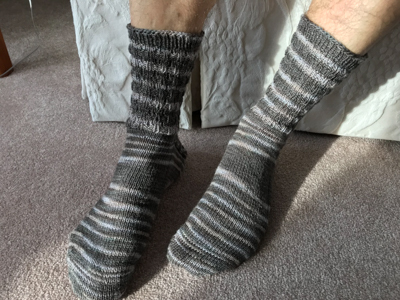 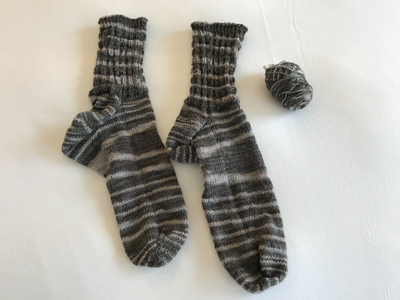 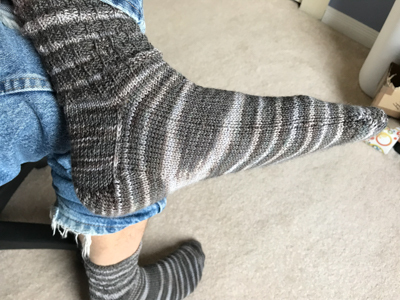 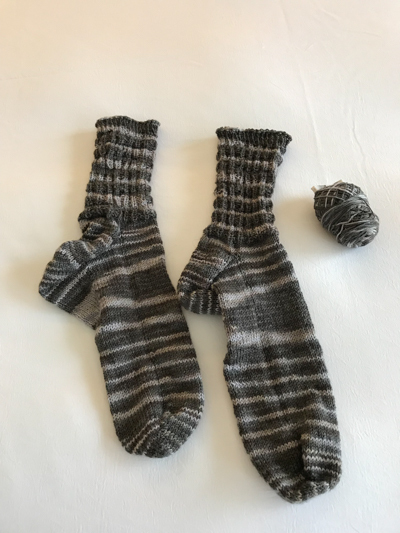 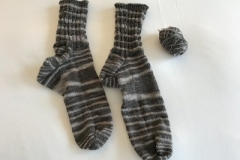 Pretty standard toe-up socks, for him. 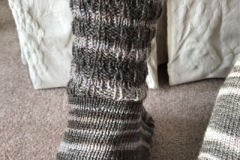 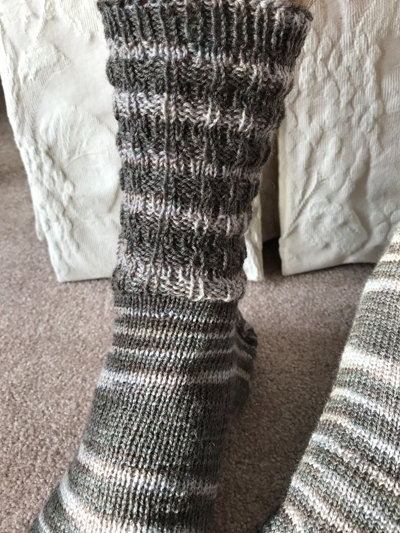 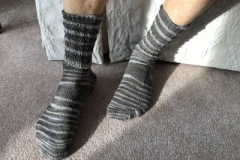 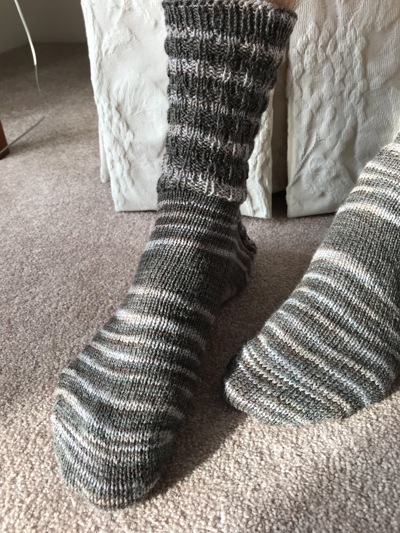 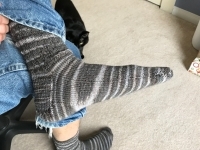 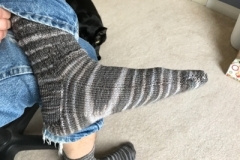 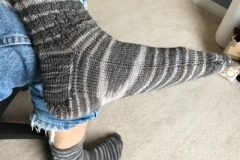 For the ankles, I did alternating four rows of 3×1 and four rows of 1×3 ribbing, to give it that “tree bark” effect. 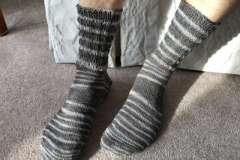 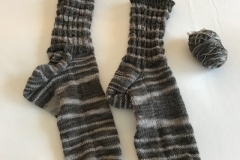 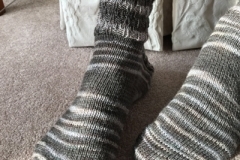 Sock closeup -- fraternal matching twins!